Another one of our interns, Sharat Vyas, describes his experience of doing a summer internship with Syntelli. 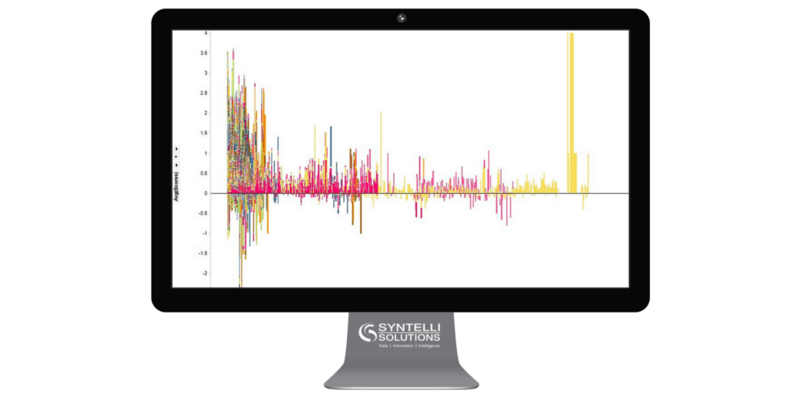 This past summer, I have had the privilege of interning at Syntelli Solutions Inc. This being my first professional internship I did not know what to expect. That being said, I am elated knowing how much I learned and how useful these skills will be. I began my internship learning the basics of a statistical programming language known as R. I continued to work on R until I had a basic understanding of its modeling capabilities and methods. Soon after, I was given my first task of performing sentiment analysis on the NBA Finals using the Twitter API. I went about this by first extracting the tweets from the Twitter API by defining specific hashtags such as #NBAFinals2015 or #StephCurry. I then drew those tweets and wrote them into a CSV file. Using these drawn tweets, I was able to import the data into Tableau and create various complex models based on location as well as time. After successfully performing sentiment analysis, I moved from learning R to learning more about Tableau, Spotfire, and why data analytics and big data was so important. I began meeting with Rishi Bhatnagar (CEO of Syntelli) weekly. We began creating visualizations for real-life manufacturing data and discussing core principles of big data and data analytics. These weekly meetings not only helped me learn the similarities and differences between Tableau and Spotfire, but also helped my understand why big data and data analytics was so crucial and why it continues to grow as an industry. One of the most enjoyable moments of my internship was a Hadoop Training that I participated in. Daniel Faile, from MapR, came to the office and provided a great overview of what Hadoop was and why it was coming to prominence. Daniel also taught us about the different companies that were providing services for Hadoop, which gave me a great insight into the industry and how competitive the market was. Overall, the weeks spent at the internship have been eye opening for me. Not only have I learned various skills and tools, I have also learned about the IT industry as a whole and how rapidly it is changing and how it has changed to this point. This internship has given me the opportunity to work with some of the industry leaders in Data Analytics as well as Big Data. I hope to come back and intern again next year at Syntelli.